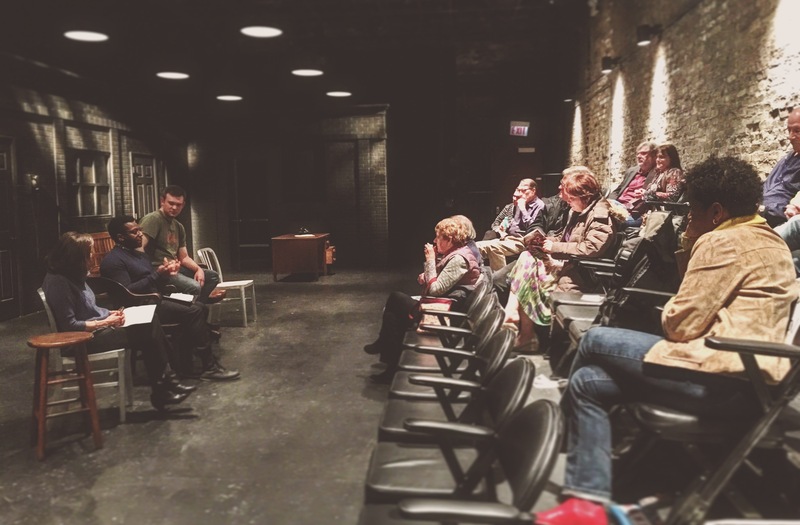 Shattered Globe hosts curated post-show discussions with artists and experts following the Sunday matinees of our shows. Join us for a special post-show conversation with Ken Krimstein! 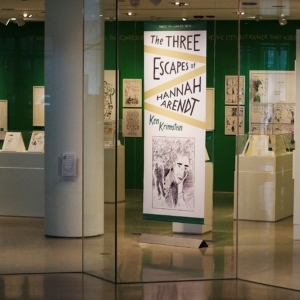 Krimstein’s The Three Escapes of Hannah Arendt (Bloomsbury 2018) is the subject of a special exhibit at the Spertus Institute for Jewish Learning and Leadership running now through June 23, 2019. Ken Krimstein is a cartoonist, writer, educator, and creative director whose cartoons have been published in The New Yorker, Barron’s, Harvard Business Review, Prospect, Punch, The National Lampoon, The Wall Street Journal, The Chicago Tribune, and three of S. Gross’s cartoon anthologies. You can find his humor writing in The New York Observer‘s New Yorker’s Diary, McSweeny’s Internet Tendency, Yankee Pot Roast, and Mr. Beller’s Neighborhood. 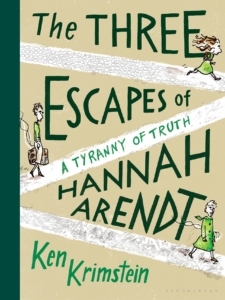 The Three Escapes of Hannah Arendt is his second book. He teaches at DePaul University. Purchase tickets for the May 5 performance of HANNAH AND MARTIN, or make plans to join us after the performance! Join us for a special post-show conversation with Mary Dietz, John Evans Professor of Political Theory at Northwestern University. 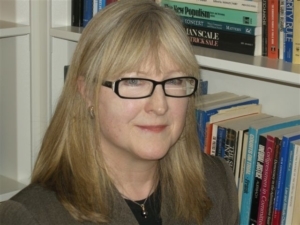 Mary G. Dietz (Ph.D., U California, Berkeley) holds a joint appointment in the Department of Political Science and the Gender and Sexuality Studies Program at Northwestern University. Her areas of academic specialization include the history of western political theory; feminist theory; and contemporary democratic theory. She is the author of Between the Human and the Divine: The Political Thought of Simone Weil; and Turning Operations: Feminism, Arendt, and Politics; and the editor of Thomas Hobbes and Political Theory, as well as numerous articles. Her current research includes a multi-year workshop project titled “Arendt On Earth: Between the Archimedean Point and the Anthropocene” funded by the Humanities Without Walls and the Mellon Foundation. Dietz served as Editor of the journal Political Theory: An International Journal of Political Philosophy from 2005-2012. Purchase tickets for the May 19 performance of HANNAH AND MARTIN, or make plans to join us after the performance! The Realistic Joneses playwright Will Eno has been called a “Samuel Beckett for the Jon Stewart generation” by The New York Times. Special guest John Jenkins will lead a discussion that digs into this comparison. Jenkins will guide a conversation exploring comparisons that have been made between The Realistic Joneses playwright Will Eno and Samuel Beckett. 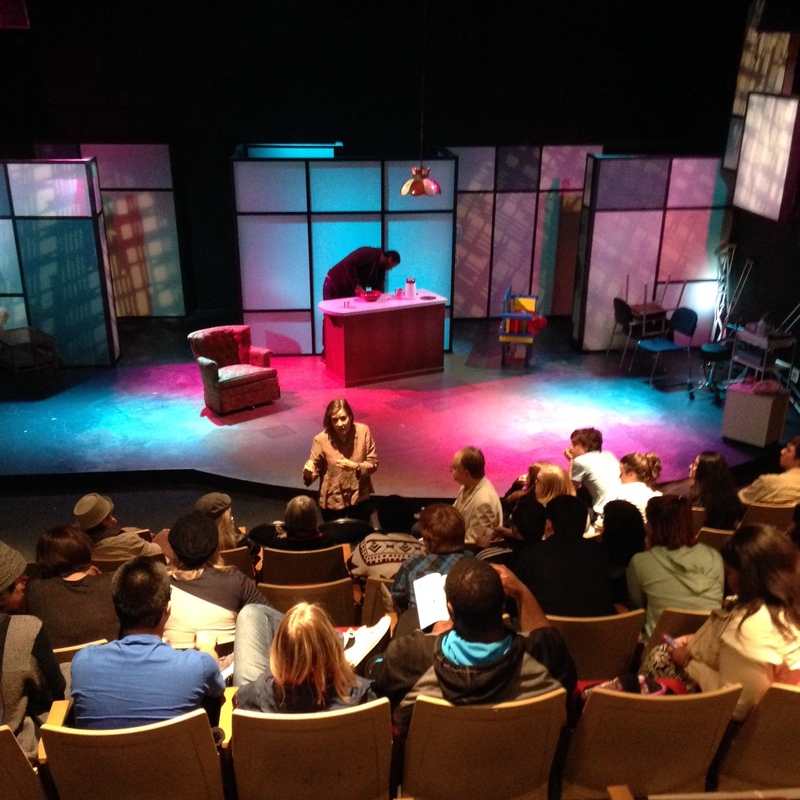 Get your tickets for the 3pm matinee performance or make plans to join us after the show! Purchase tickets for the March 3 performance of THE REALISTIC JONESES, or make plans to join us after the performance! Join us for a live, onstage marriage counseling session with special guest Art Nielsen, M.D.! The Realistic Joneses couple Bob and Jennifer Jones (played by H.B. Ward and Linda Reiter) will work through the marital problems they face throughout the play. Don’t miss a unique opportunity to see these characters in a whole new way, guided by a real-life relationship expert! Art Nielsen is a full-time, practicing psychiatrist, psychoanalyst and couple therapist. 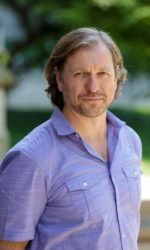 He is a Clinical Associate Professor of Psychiatry at Northwestern’s Feinberg School of Medicine, a faculty member at Northwestern’s Family Institute in Evanston, and a faculty member of the Chicago Institute for Psychoanalysis. 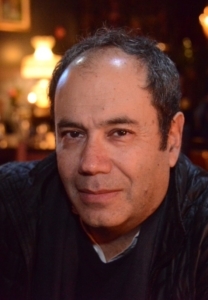 He has taught workshops and lectured widely and internationally on couple therapy, is the author of forty-some published professional papers in the fields of psychiatry, psychoanalysis, and couple therapy, and has published a comprehensive textbook relevant to this event titled, A Roadmap for Couple Therapy: Integrating Systemic, Psychodynamic, and Behavioral Approaches. Purchase tickets for the February 24 performance of THE REALISTIC JONESES, or make plans to join us after the performance! 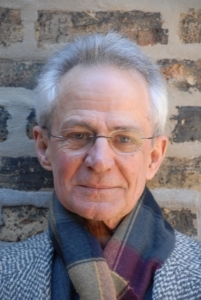 Join us for a post-performance discussion with Robert Bird, Professor from The University of Chicago Department of Slavic Languages and Literatures. Professor Bird’s areas of interest include Russian literature, cinema, aesthetic theory and intellectual history. Purchase tickets for the October 14 performance of CRIME AND PUNISHMENT, or make plans to join us after the performance around 5:15 pm. Join us for a post-performance discussion with Irina Ruvinksy and director Lou Contey. 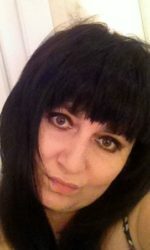 Irina Ruvinsky is a professor of philosophy and literature at the School of the Art Institute of Chicago and she teaches Russian literature in the Department of Slavic and Baltic Languages and Literatures at UIC. She received her Phd From the University of Chicago and was a Chateaubriand Fellow at Sorbonne IV in Paris. Purchase tickets for the September 30 performance of CRIME AND PUNISHMENT, or make plans to join us after the performance around 5:15 pm.